This grey contact looks pretty natural. I have dark brown eyes. Amazing lens and fast shipping! The Geo Eyescream Rayray Gray was a magnificent. The lens was ordered from LensVillage and I requested for express shipping. They are very efficient and within 5 working days, I have received the package safely. So far, this lens is one of my best choice because of it&rsquo;s comfortable and I love the color. big eyes effect with this colored lens! The natural looking of this lens together with the solid gray color which makes a perfect dolly look. 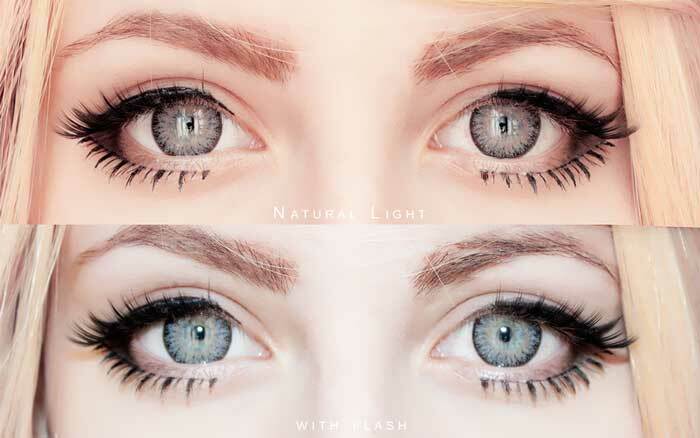 This contacts are suitable wearing it for long hours and it is comfortable. I really like the fact that this contacts actually enlarge my eyes making it bigger but at the same time natural.